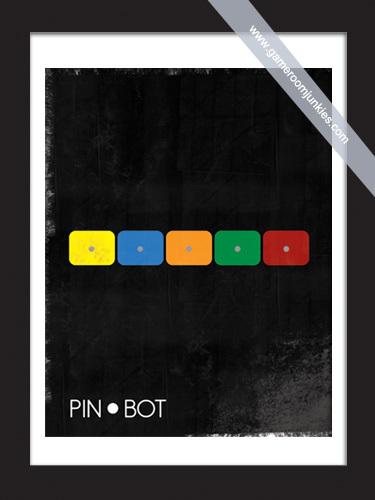 Today’s minimalist selection is a representation of the classic 1986 Williams’ pinball game – PinBot! Please oh please make some prints of this. I will put this in my office. At work. And it will be awesome. A print of this would be fantastic. This is my favorite minimalist poster yet. Will this print be available for purchase? It’s simple but at the same time expresses a lot. Well done! For real, will this be a print soon? Being a person frnied of Alan’s he never ceases to amaze me with his talents. Being able to visit the gameroom in it’s infancy I was taken back in time to my teen years when video games were just starting to come out.A tip of my hat and a big thumbs up to my frnied Alan for what he has done for himself and his beautiful young daughters and wife.Truly a gamers paradise. You done good Alan ! !